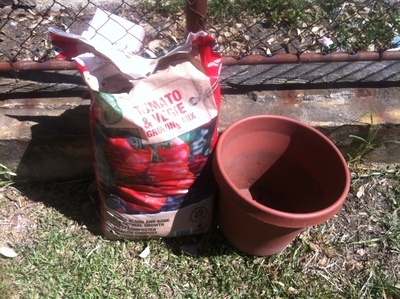 Once your tomato plant has gone past the seedling stage, you may want to transplant it into a larger pot before it finally gets put into the ground. This helps the roots to develop more which can lead to higher crop yields down the track. Put your potting mix into the new larger pot. 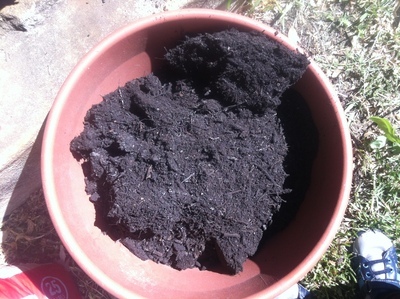 Fill it almost to the top, giving a 10 cm gap between the top of the pot and the top of your soil. 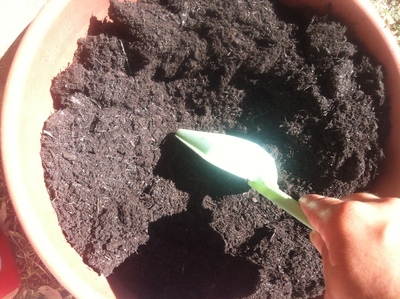 Make a hole in the center of your pot with the small shovel. This needs to be slightly bigger than the diameter of the pot that your tomato plant is already in, so that when you remove it from it's pot, there is room for it to sink into the new pot. It also needs to be the same depth as your current pot. 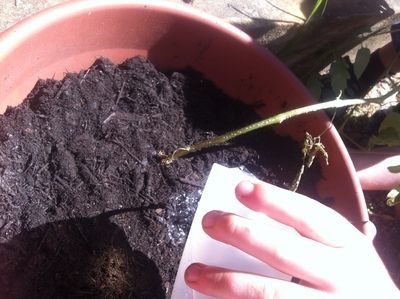 Now that your new pot is prepared, gently grab the tomato plant by the lowest part of the stem you can get a grip on. Rock it back and forth until the plant, roots and all, comes away from the pot. If it doesn't do this easily, you might need to give the pot a bit of a squeeze to help it along. Once you've got the plant free, loosen up the roots a bit by gently rubbing them to encourage them to spread into the area of the new pot. 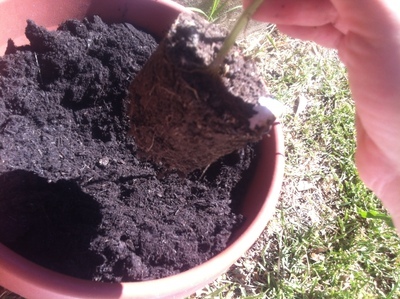 Sink the root system of the plant into the hole you have created and pat down with soil to smooth. Finally, give your plant some water. It has just been through a traumatic experience and the water will help it get used to the new pot and start to extend the roots out.